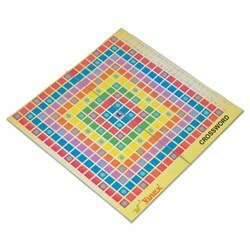 A board game is a game in which counters or pieces are placed, removed, or moved on a pre-marked surface or "board" according to a set of rules. 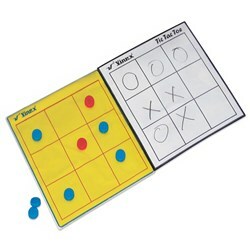 Games may be based on pure strategy, chance or a mixture of the two and usually have a goal which a player aims to achieve. 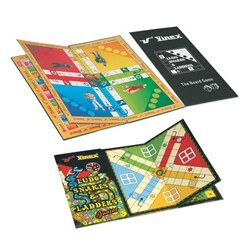 There are many different types and styles of board games. 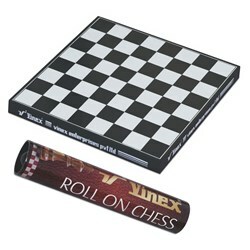 We offer a complete and wide range of Board Games like Chessboard, Crossword, Roll Up Chess, Ludo, Snakes and Ladders, Tic Tac Toe and etc. These Board Games are still a super fun way for families to spend time together and very helpful to teach kids about following rules.